Discover campsites of Finistère France but also over 450 campsites throughout France, offering a variety of rental mobile homes, chalets and accommodation of more atypical as bungalows or caravans, but also leisure facilities such as aquatic areas with sometimes an indoor or well even with heated pool for your comfort, for an unforgettable vacation. Welcome and enjoy your visit in Finistère (29) . Campsites in Finistère welcome you to your camping holiday 2, 3, 4 and 5 star or LRP. Campsites with recreational facilities (swimming pool, water park, water park, water slides, wading pool, spa, playground, tennis court, multi-sports), entertainment and services (restaurant, bar, food, WiFi access, disabled access, camper services) to make the best of holidays throughout Finistère. Traditional camping in Finistère on pitches or rental of mobile home camping, campsites below offer the best camping in Finistère. Enjoy the outdoor accommodation and campsites in Finistère! Rental of mobile homes, chalets, bungalows, cottages, Bengali, cottages, trailers, caravans, tipis and camping sites equipped for your holidays in Finistère, our French campgrounds welcome you everywhere in Finistère, a favorite camping in Europe. Have a great holiday camping with our campsites in Finistère! Camping Keralouet in Brittany is located in Lesconil in South Finistere between Loctudy and Le Guilvinec. 2 star campsite with heated pool, it is perfect for families with children to spend a seaside holiday in Brittany. Close to the beach and shops from the port of Lesconil, it offers comfortable accommodation in mobile home, cottage, canvas bungalow and caravans. It is also a traditional campsite that offers beautiful places for caravans, tents and camper. The campsite has a heated swimming pool, a bar, wifi, bike rental for a pleasant holiday in South Brittany. Camping in the heart of Finistère in Brittany, welcome to CAMPING LA RIVIERE D'ARGENT ** located south of the Monts d'Arrée, in the Huelgoat forest. The campsite is equipped with a covered and heated swimming pool, and offers a choice of accommodation for renting mobile homes, tents, tipis, and fishing by the river or lake Brennilis. Hélène and Joël, have the pleasure to welcome you in this enchanting place from March 30, 2018, for a convivial and family stay in the center of Brittany. Welcome in Brittany, at the campsite of the Vieux Verger Ty Noul, in the South Finistère. Our campsite is located in Nevez, in Raguénez, between Pont-Aven and Concarneau near Trégunc and Trévignon. 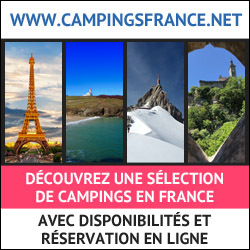 Camping du Vieux Verger, is classified 2 stars. It is a small campsite very quiet, pleasant and restful, situated at 600 m from the sea. A family atmosphere in a wooded and very flowery setting. It offers you the possibility of renting mobile homes (2 nights minimum) and bare pitches. Possibility to stay in caravan and tent. Welcome to the RV. On site heated swimming pool, water area with waterslides and paddling pool, playgrounds, trampoline, petanque, bike rental, free wifi. On-site catering and bread storage in season. Welcome to the Yelloh! Village la Baie de Douarnenez family campsite which covers 6 hectares with 190 pitches (including 106 holiday rentals, 76 camping pitches for tents, caravans or camper vans and 9 residential). Not too big! Not too small!We put people first, providing a friendly atmosphere, a personal welcome, quality, cleanliness and comfort. 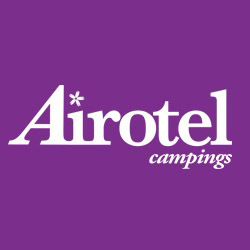 We are highly individual and we offer a flavour of our region which we are passionate about sharing.Our 4 star campsite is situated 2 km from the coast (Pointe de la Jument) and 4.5 km from the nearest beach, 5 km from Douarnenez and 6 km from the Cap-Sizun.Our 4 star campsite is open from 12th April to 14th September 2014 and, amongst other things, has a 1500m² water leisure complex with water slides and an indoor pool.If what you need is a real family holiday where you can spend your time relaxing together in the guaranteed quietness of a little corner of nature … the Camping de la Baie de Douarnenez is everything you’ve been hoping for.There’s everything at hand for you to have a great holiday! Tennis, mini-golf, table tennis, a multi-sports pitch, bicycle hire are all available. Mumphrey our mascot and an activity leader supervise children for free at the Kids’ Club and Teens’ Club. In my club we speak French, English and Dutch. So you can make many new friends from all over Europe. NEW 2015 : BEDS PREPARED WITH DUVETS (All Inclusive!) + ACTIVITIES : WE SPEAK ENGLISH ! In Brittany, close to beautiful beaches, our 3-stars campsite in South Brittany, will be a perfect place for sports enthusiasts : diving, climbing, water activities, hiking, and fun to experience nature in the wild. Heated indoor pool. Our campsite of Finistere, located near the town of Crozon and the back of the tourist resort of Morgat. Many species of trees, semi-shaded or sunny, our campsite in Brittany, offers you the choice of large sites and mobile-homes or chalets well spaced. Domaine de Bel Air welcomes you to an exceptionally peaceful, green and flowery campsite. We are located between "La Pointe du Raz" and Quimper. There is entertainment for all and various facilities.